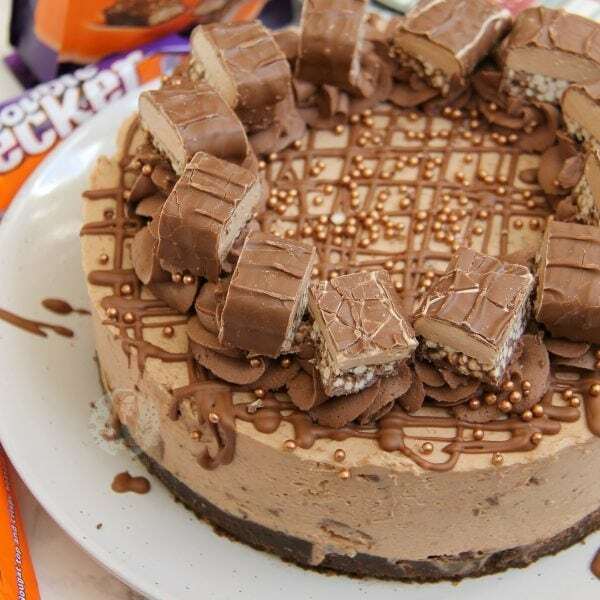 A Chocolate Biscuit Base, Chocolate Cheesecake Filling, Double Decker, and even more delicious Chocolate goodness. 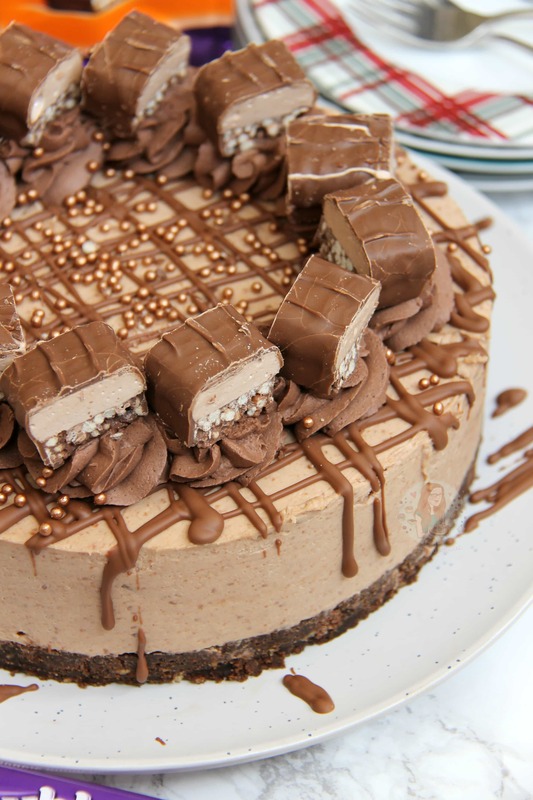 Perfect No-Bake Double Decker Cheesecake! Ever since posting my Double Decker Cookie Bars a couple of weeks ago, I knew I had to do another Double Decker related recipe. Like, I am totally addicted to them now. Honestly, OHMYDAYS. If you don’t have access to Double Decker bars then you are seriously missing out. 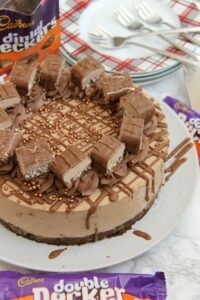 One thing that has been requested since my Double Decker Cookie Bars, is a cheesecake version. 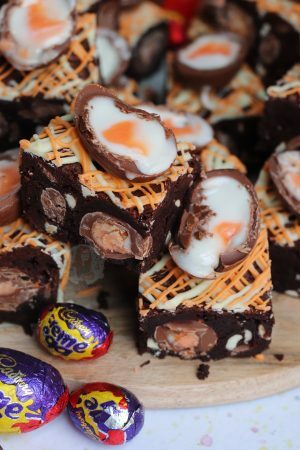 This recipe is definitely one of my new favourites, as its a true Chocolate overload. I went for a Digestive base, but added in some Cocoa Powder this time to make it chocolatey, but less sweet. I prefer to use regular digestives, and add in cocoa powder, because I find that the chocolate digestives can melt oddly and you can get a more soggy base. Also, using cocoa powder is the perfect way to combat a lot of the sweetness. This recipe can be altered to have a Cereal type base (Like there is in the Double Decker bars) by using the base from my No-Bake Toffee Crisp Cheesecake. 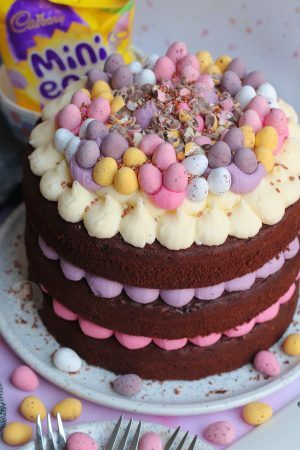 I didn’t want to use it in this recipe, as I wanted to show my new chocolatey base. 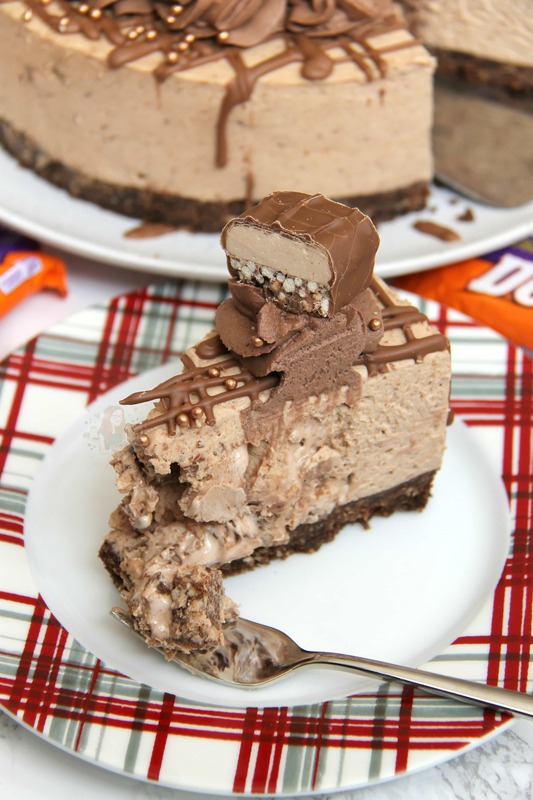 The filling itself is a standard sort of Chocolate Cheesecake recipe, and I adore it. It’s so easy to fill with your favourite chocolate bars, so why alter what is already good?! Melt the butter in the microwave on short bursts on in a small pan over a medium heat – Blitz the biscuits in a food processor to a small crumb, add the cocoa powder and blitz again. Add the melted butter, and pulse a few times until it is combined well. Tip into a 8″/20cm Deep Springform Tin and press down firmly – chill in the refrigerator whilst you do the rest! With an electric mixer (I used my KitchenAid) Whisk the Cream Cheese and Icing sugar, and Vanilla until smooth – Whilst mixing, pour in the melted chocolate and whip again until smooth. 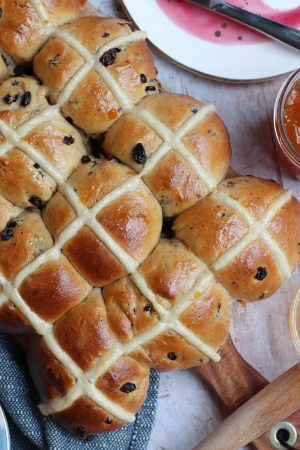 Fold through the chopped bits of Double Decker into the mixture – Pour the mix on to the biscuit base, smooth over, cover, and chill in the fridge for at least 5-6 hours hours or preferably overnight. Remove the cheesecake from the tin. Whip up the double cream, icing sugar, and cocoa powder till thick and pipeable. 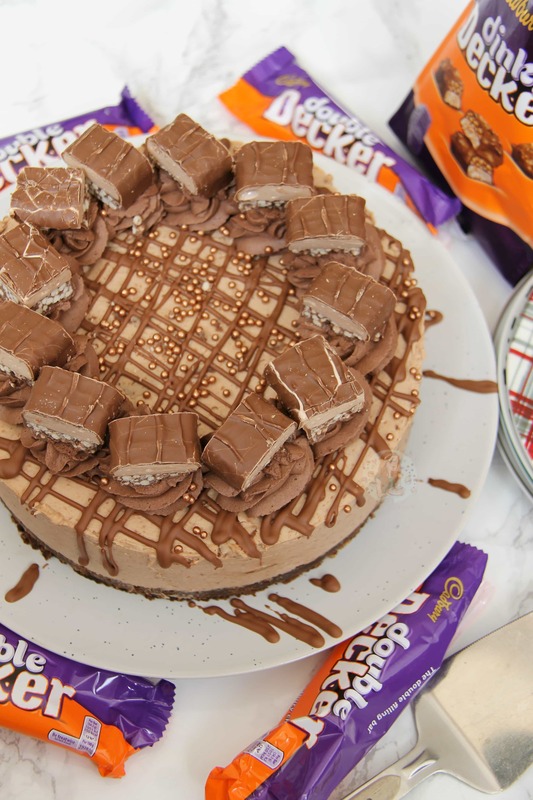 Drizzle over the melted milk chocolate, decorate with the whipped chocolate cream, and some pieces of Double Decker! 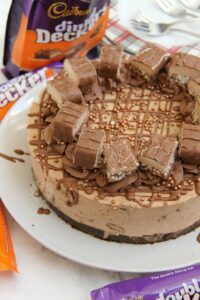 I used 4x55g Bars of Double Decker and a bag and a bit of the ‘Dinky Deckers’ in my cheesecake. So I used about 350g for mine! You can use less or more. 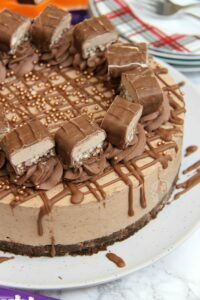 I use Callebaut milk chocolate in my bakes which you can buy here – You can use Mascarpone in your cheesecake, but any Cream Cheese you use MUST be Full-Fat! You can also use ‘Heavy Cream’ if you’re in the US, but it has to be the fattiest liquid cream you can find! Older Next post: Mars Bar Fudge! Newer Previous post: Terry’s Chocolate Orange Ice Cream! Would you use the jar double decker instead of the melted chocolate. Would you melt it? I’ve never tried that particular one in a cheesecake so can’t guarantee its setting, but no you wouldn’t melt it. Treat it like my other ‘spread’ cheesecakes. 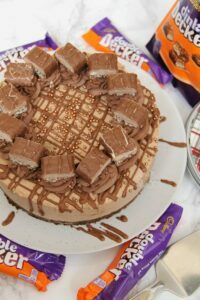 I have just discovered Double Decker chocolate spread so I’m going to try that in this recipe! I am also a recent Biscoff convert and did your Rocky Road recipe with it. yum! Oh that spread is DELIGHTFUL! I love all the spreads 😍 The M&M one is interesting too! 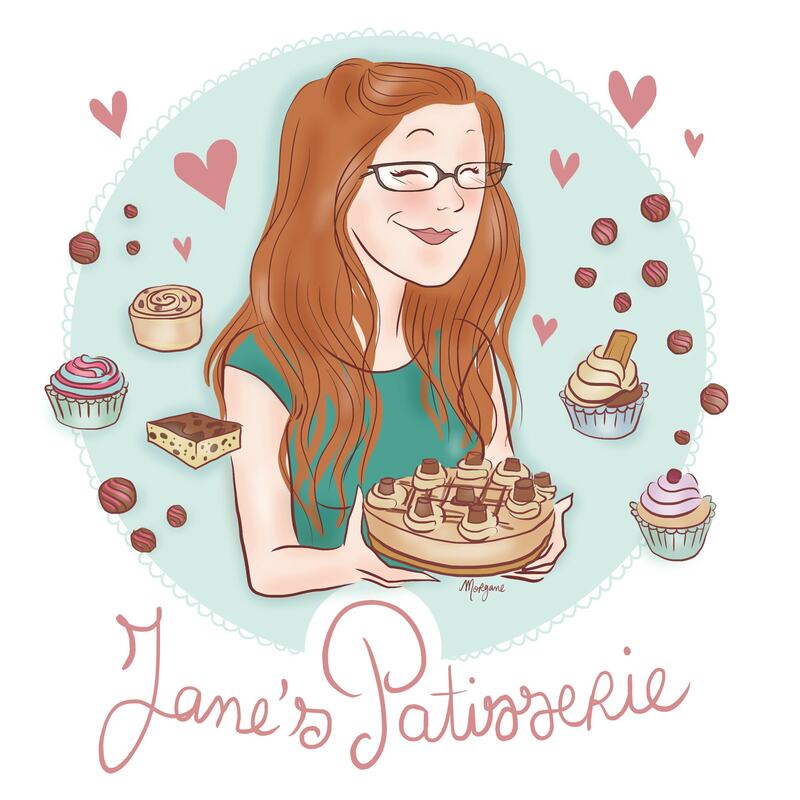 Hi Jane, some lovely recipes. Can the double decker cheesecake be frozen without decoration? 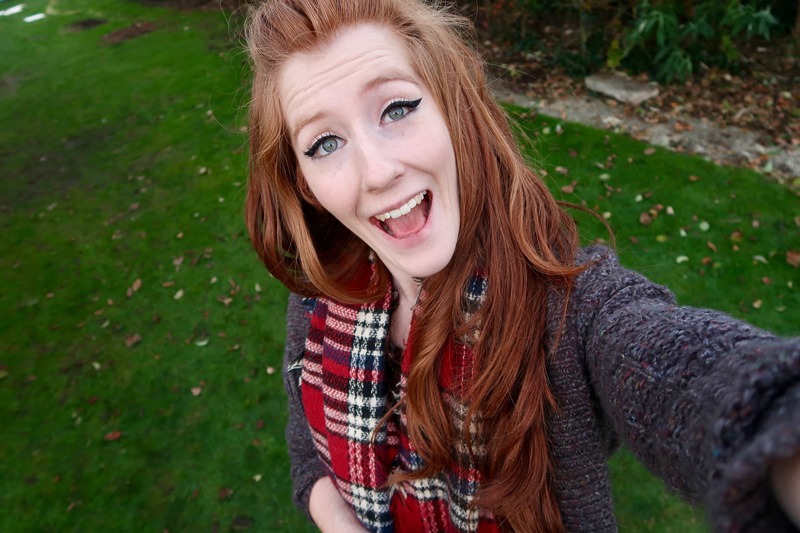 I love your blog and miss bakers hour!! What’s the difference in the cheese cake if you use mascarpone rather than cream cheese ? I like how when you say a tablespoon it literally is a regular table spoon so there’s no need to get them fancy spoons everyone says you have to use to get the recipe right. Mascarpone is naturally a bit sweeter and less ‘tart’ in comparison to Philadelphia for example, so it depends how sweet you like it? I’d use Mascarpone every time if I could because I prefer the flavour, but my family prefer it to be slightly less sweet. ? Looks wonderful! I bet you put on weight just by salivating over the pictures. I don’t know whether I can get these cookie bars here, but if I do, I will make it.